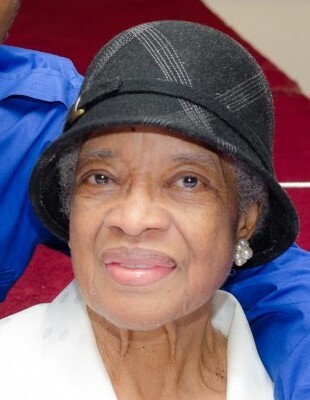 Virginia Brown Bonner, age 90 of 525 S. Park Way Village Sanford, North Carolina passed on Saturday, November 3, 2018 at Central Carolina Hospital. Deacon Virginia Bonner was born September 9, 1928 to the late Harrison Martin Brown and Mary Washington. She was raised by her stepmother, Martha Brown. She attended Lee County Training School. She later moved to Rhode Island to further her education and obtained a degree in nursing. She then relocated to Baltimore, Maryland where she married the love of her life, the late Robert “Bobby” Bonner. She worked and retired as a professional nurse at Bones Secure Hospital. In 2017 she relocated back home to Sanford, North Carolina. Virginia’s Love of and for God and her family sustained her during her lifetime. Deaconess Bonner joined Cornerstone Church of Christ in 1958 under the leadership of founding pastor, Dr. I. Logan Kerse. She was a faithful and dedicated bible study, noonday prayer, and evening prayer meeting attendee. She was later appointed to the office of Deaconess by our current pastor of 27 years, Rev. Reginald T. Johnson Jr. She had a very special bond with Pastor Johnson and it was nothing they wouldn’t do for each other. Upon moving back to North Carolina, she never missed a holiday, birthday or anniversary sending him a card for the occasion. She continued to send her tithes to Cornerstone until her passing. She served diligently and faithfully until her health would not allow her to. She assisted one of our ministers, Dr. Joyce Bowyer for years in her East Baltimore inner city, Women’s A Glow Fellowship, where they clothe and fed the homeless. She was an awesome Sunday School Teacher & Prayer Warrior. She leaves to mourn: two sisters-in-law, Annie Brown of Sanford, NC and Mae Brown of Greensboro, NC; a special niece, Devora A. Murchison and a special nephew, Harrison M. Brown whom were her personal care takers after she relocated to Sanford, NC; and+ a host of nieces, nephews, other relatives and friends.